We have been the back bone of the title industry since 2003. 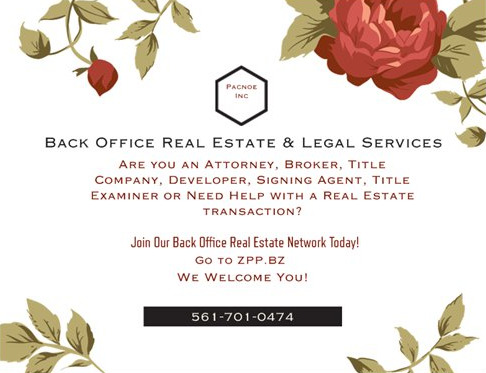 Think Back Office Real Estate & Legal Services when you have a title question or need a notary or signing agent in the state of Florida, Maryland, Virginia, Delaware and Washington, DC. 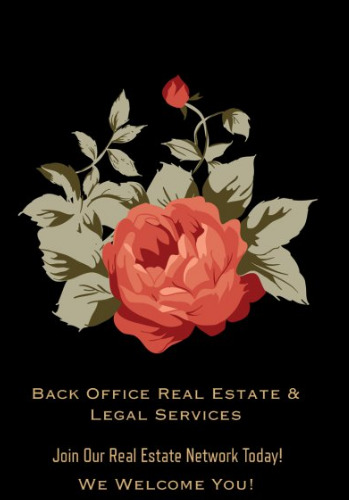 Join our network when you need a back office to help get your real estate and legal work complete and on time. Looking for work or to complete a deal? Contact us today!